Mindchamp is started by two IT graduates who felt the need to improvise the way coding is taught to kids, making it more fun and enjoyable. The courses focus on building the logical abilities and problem-solving skills of school students. With a network of Educators across Central Mumbai, a student has access to quality coding education at his doorstep. 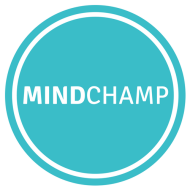 MindChamp conducts classes in Brain Gym, CSS and Computer Course. It is located in Powai, Mumbai. It takes Regular Classes- at the Institute.